Instead of £287.00. You save £14.35 due to the online discount . 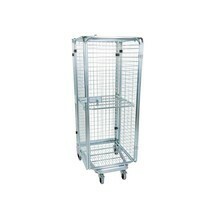 A BASIC nestable steel roll container enables goods to be transported quickly and manageably. When the containers are not in use, they can be practically nested inside one another to save on storage or return transport space. 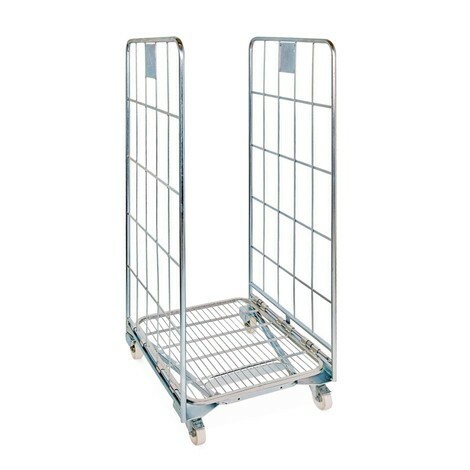 A nestable steel roll container can be used in many working areas. 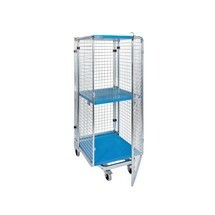 Its 2, 3 or 4 mesh panels provide easy access to and a view of the goods being transported. 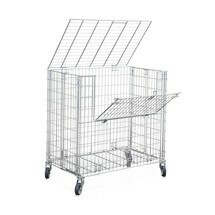 At the same time, the side panels made from round tube and flat steel keep the contents securely in place. 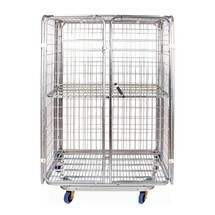 When not in use, the roll containers can be nested inside one another to save space thanks to the conically tapered frame – similar to that of a shopping trolley. The base folds to the side by means of spring technology. 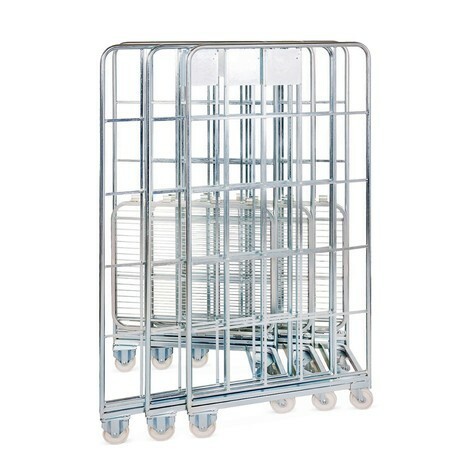 The BASIC steel roll container is also equipped with 2 fixed castors and 2 steering castors characterised by their wear resistance and smooth running. 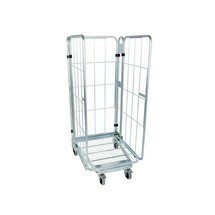 Decide on a nestable BASIC roll container with steel base and choose between different designs at our shop.